The Canon EOS-1D X is a camera meant for advanced photographers. It’s physically imposing, with a big design. It incorporates portrait and landscape shooting controls. The Canon EOS-1D X is a camera meant for advanced photographers. It’s physically imposing, with a big design. It incorporates portrait and landscape shooting controls. To that, it adds loads of control buttons. The 18-megapixel full-frame image sensor is impressive when you are capturing in low light. The autofocus system of this advanced DSLR features 61 selectable points. Its banner feature is the ability to let you shoot at an impressive 14 frames per second. It is a figure that is pleasing photographers who make a living capturing fast action. Canon EOS 1D X comes with a design that incorporates vertical shooting controls in addition to the standard horizontal ones. The Canon 1D X measures 6.4 by 6.2 by 3.3 inches and weighs 3.4 pounds. 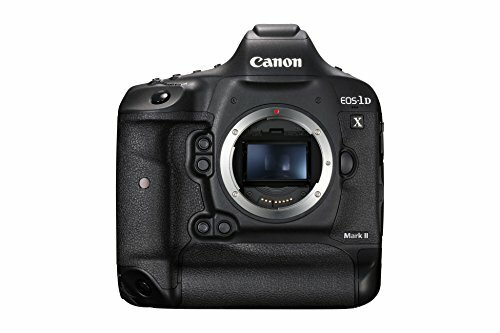 Like other advanced level cameras, Canon 1DX features a magnesium alloy chassis. It has an exterior covered with a hard polycarbonate and textured leatherette. The camera body proofed against dust and moisture. The image sensor has a self-cleaning mechanism. It helps to reduce the occurrence of dust spots. Canon EOS 1D X has a Q button which brings up a menu of shooting settings on the rear LCD. It’s the easiest place to go if you want to customize the Canon 1D X’s controls. From the Custom Controls submenu, you’ll be able to make a lot of adjustments. These include the behavior of the shutter release, the AF-ON button, both directional controllers, both control wheels and the exposure lock button. The depth of field preview button, M-Fn controls, and the Set button can also be modified. With a bit of effort, you’re able to configure the Canon 1D X to suit your tastes. The viewfinder or Canon EOS 1D X is a pleasure to use. It’s a pentaprism design covering 100 percent of the frame with 0.76x magnification. Canon 1D X has a larger image in its finder than the Nikon. When you view the same subject through a lens of identical focal length and focused at the same distance. The default focusing screen is bright and clear. However, you can change it to one that is best suited to your purposes. Canon offers screens ideal for macro photography, as well as one with a split-image focusing aid. The advanced camera has mode button which lets you toggle between aperture priority, shutter priority, manual, and other shooting modes. The AF-Drive button serves two purposes. The top control wheel adjusts the autofocus mode. The rear wheel sets the continuous shooting mode. The third button is for your control over the metering pattern and the flash compensation. The Canon EOS-1D X is the company's flagship professional DSLR. It's built around an 18MP full-frame sensor capable of shooting at up to 14 frames per second (12fps with AF) and offers a maximum ISO sensitivity of 204,800, effectively replacing both the 1D Mark IV and 1DS Mark III in Canon's lineup. Despite looking a lot like previous 1D-series cameras, the X has been extensively reworked and includes more professional video features than any other Canon DSLR.